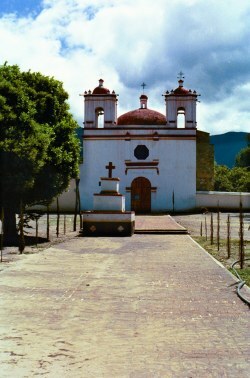 16th century Church Santo Tomás Jalieza is a small community located 25 kilometers from the Oaxaca city on hwy 175. 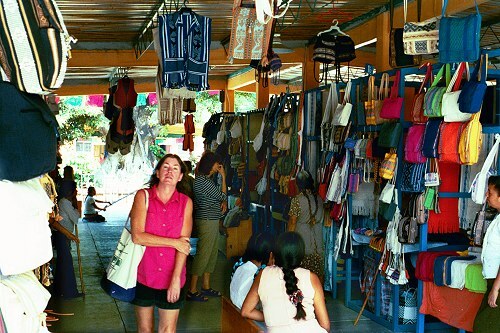 Local artisans create embroidery work and weavings which are sold in a local market. Across from the market stands the 16th century church shown at left. Restrooms are available for visitors on the opposite side of the courtyard behind the weaver's market.